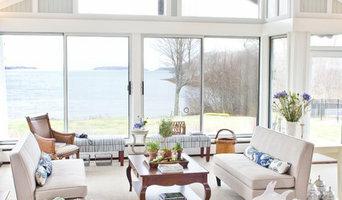 e4 Interior Design is a full service, residential interior design firm located on the coast of Maine. We offer design services including space planning, custom millwork design, project and construction management, architectural drafting, furniture design, procurement, installations, and beyond. We are happy to discuss your specific project needs and cater a design package that is just right for you. Our passion is working with clients to help them create a sense of home; comfortable, practical, and beautiful spaces to create lasting memories in. 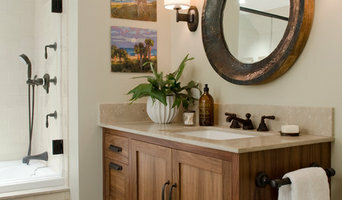 Marcye Philbrook designs with her clients tastes in mind. She is very comfortable with contemporary and transitional styles as well as traditional, designing with an artist's viewpoint of color, scale and repetition. Her rooms are soothing and inspiring. 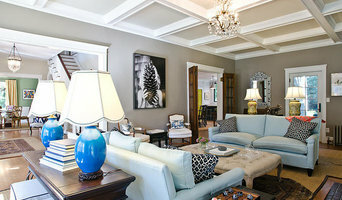 Karen Gallagher is known for her creative and unique interiors. Her style is classic, comfortable and confident. 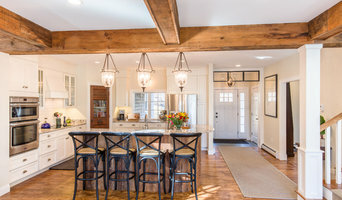 She works with each client’s individual preferences, from coastal cottage to urban chic, creating updated, transitional and sophisticated spaces. Karen’s approach to decorating is personal and realistic, and her intuition and authentic attitude make clients feel at ease throughout the design process. Along with twenty years of experience, Karen brings her passion for design to every job site. Her work combines an artist’s knowledge of color, space and texture with a trained designer’s eye and expertise– always with a touch of elegance and glamour.